Check out the following tools you can use in the classroom - many provide chances for student response and data analysis. A game-based classroom response system, where teachers can create quizzes using Internet content. A Google Drive app that allows you to create documents that students can collaborate on in real time using smartphones, tablets and laptops. Students provide video feedback to questions and conversations posed by teachers and other students. Can be used on Chromebooks! Engaging exercises and games that engage students using smartphones, laptops and tablets. Allows teachers to select a set of vocabulary words in Quizlet and that set as the basis of a review game that students play in teams. Plan and build interactive presentations that students can participate via their smart device. Limited free usage and it offers unique question types. Provides an essentially blank canvas for students to create and design collaborative projects. Great for brainstorming. Allows teachers to collect real-time formative assessment data without the need for student devices. Perfect for the one-device classroom. A tool for online brainstorming or polling, educators can use this real time tool to see student feedback on questions. This online, all-student response system provides teachers the opportunity to assign activities to students, receive the results in real time, and then provide immediate feedback to students. This online collaboration tool allows educators to create a “room” in which students can share ideas, answers and thoughts to lectures and lessons. Educators can view student responses in real time for evidence of learning. This tool is nice in that you can not only gather evidence of student learning like an all student response system but you can also create differentiated lessons based on the data you collected. The basic version (30 students or less) is free. Flipgrid allows students to use any connected device with a camera and microphone (Chromebook, iOS, Android) to record video and engage in discussion. Excellent for student response and reflection. 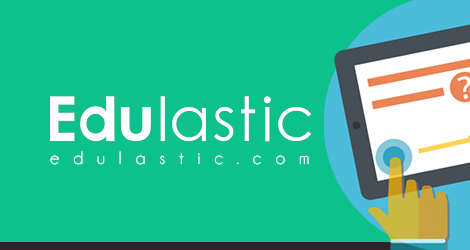 Edulastic is a platform for personalized formative assessment for K-12 students, teachers and school districts. Users can create original assessments or use the growing Assessment Library. It Works well for messy math equations including fractions! Mentimeter's core product lets you create polls and quizzes for your audience to respond to during your presentations. Your audience members can respond from their phones, tablets, or laptops.